SMART Estimator supports all leading brands of system scaffolding including Cuplok, Layher, HAKI, Kwikstage, Plettac Metrix, Turner OCTO and US style ‘Frames’, with more systems being added in future releases. 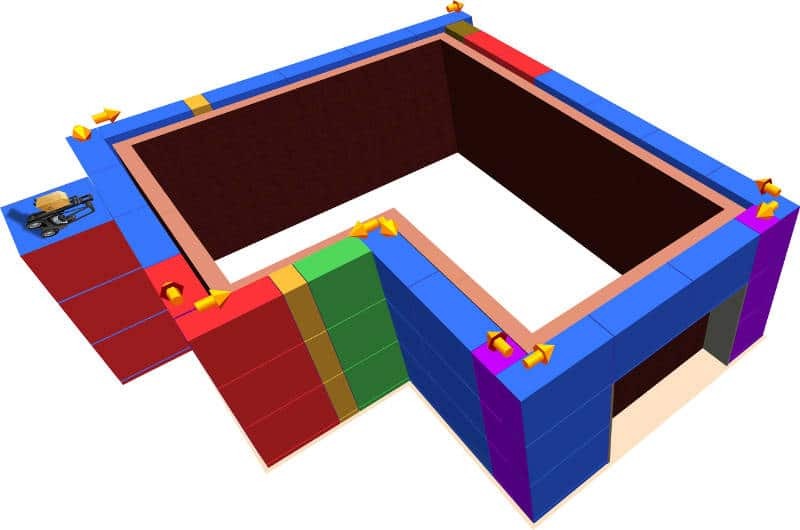 SMART Estimator provides some great tools for setting-out system scaffolding, with colour-coded blocks used to show which bay lengths are used to build the scaffold. You can configure which bay lengths are available and the software will automatically suggest a layout for you, which you can modify with easy-to-use features. Any areas of the scaffold that can’t be built with your standard bay lengths will be highlighted, allowing you to easily experiment to find the best arrangement of scaffolding. You can even print this user-friendly display and use it in conjunction with technical drawings when setting-out the scaffold on site. 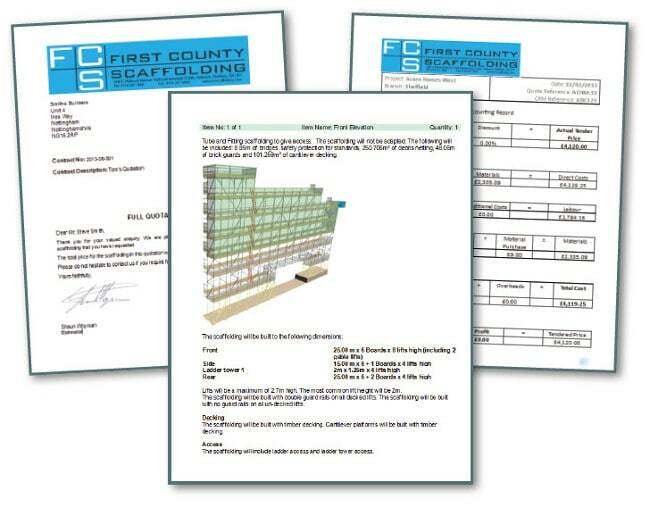 SMART Compliance can print accurate drawings and material lists for system scaffolding, based on a configurable list of components that allows you to only include the materials that you have available in your yard. SMART Estimator helps you to estimate quantities quickly and easily. 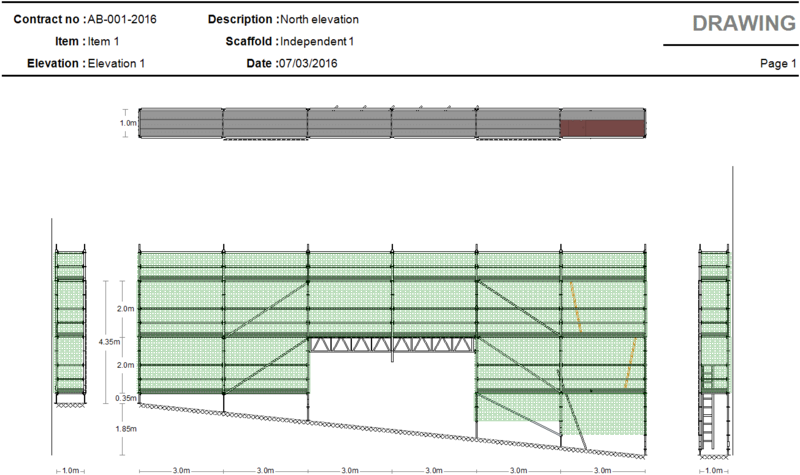 You can build a model of even a complicated scaffold in minutes, with the quantities of materials reported as you work. You can use this information to estimate the cost of the labour and materials required to build the scaffold, for example by using a price per metre run of lift, and impress your clients by including professional 3D images in any quotation. You can even include the easy-to-understand 3D drawings with the technical drawings used on site!